Matilda is a very nicely maintained Pacific Seacraft Orion. 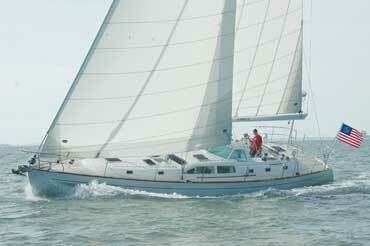 She has the look and feel of a traditional small yacht with plenty of teak and bronze. 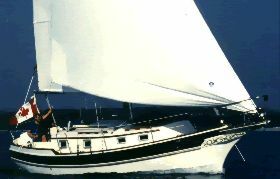 She has a large teak bow platform for anchoring, generous bulwarks for safety and a long keel for stability. The cockpit feels large for a boat of this size and her layout below feels very roomy for a couple or small family. 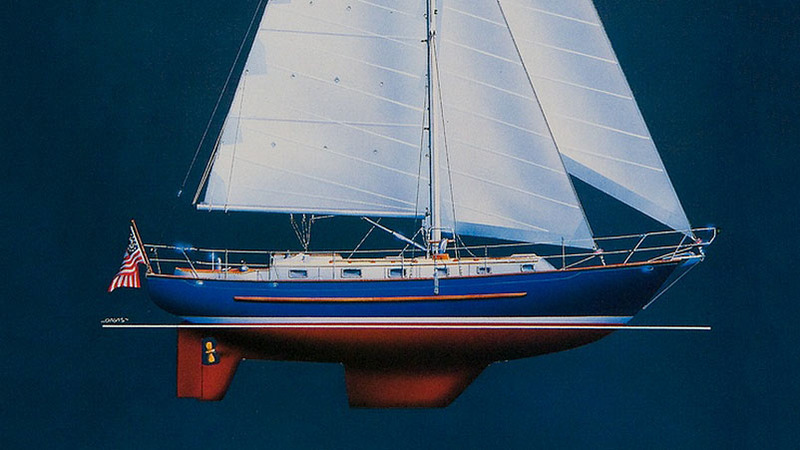 Pacific Seacraft has an excellent reputation for building solid, well performing sailboats. 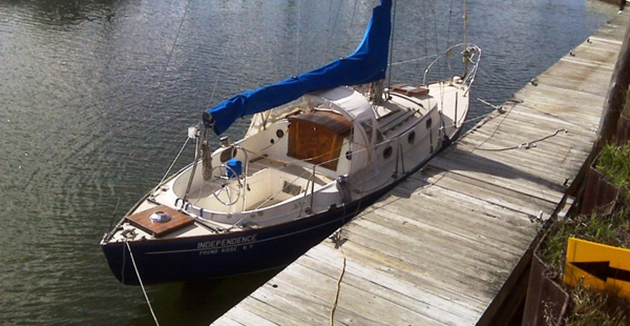 If you are looking for a really nice small cruising boat come over to Bainbridge Island and take a look at Matilda. Stepping below on Matilda you feel the attention to detail not common on many production boats these days. Pacific Seacraft did a wonderful job of including just enough teak and bronze to convey the feeling of a little ship. 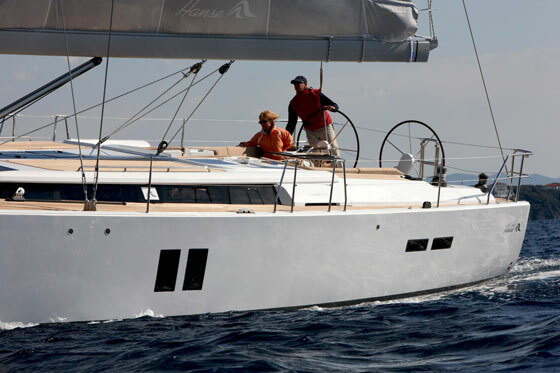 The boat feels bigger than you'd expect and is perfectly comfortable for a couple or small family. There is navigation table to staboard and a big settee (with table) to port with seating for four. The galley is starboard with the force ten two burner stove, ice box and pressure hot and cold water. The table makes into a berth and there is a quarter berth under the cockpit to port. Forward of the main cabin is a spacious head with new raritan toilet, a really nice set of drawers and a cozy v-berth. 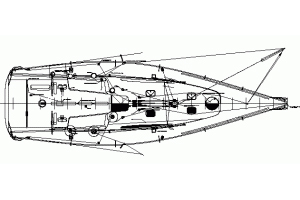 Forward of that is the anchor locker. The anchor platform was replaced when she was re-rigged in 2006.